Testimonials and endorsements must be an integral part of your self-published-book marketing program. They should be shown and used everywhere and anywhere you have an opportunity to show them. These eight tips will give you a very powerful way to take advantage of your testimonials and endorsements to help you sell many more books. 1. 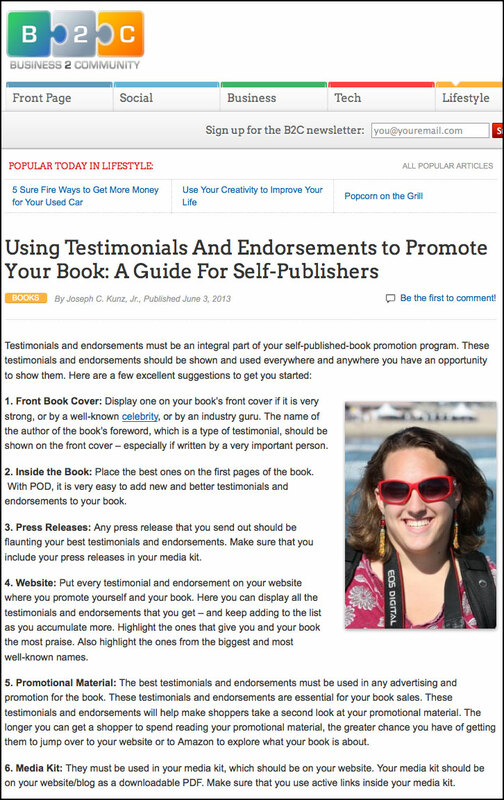 You will learn eight specific places to use testimonials and endorsements to help promote your book. 2. You will learn exactly why you must get testimonials and endorsements from a wide variety of people. 3. You will learn how and why testimonials and endorsements can give you a powerful advantage over other authors. 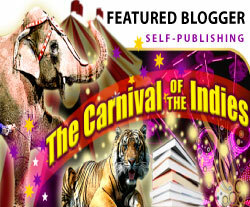 Testimonials and endorsements must be an integral part of your self-published-book marketing and promotion program. These testimonials and endorsements should be shown and used everywhere and anywhere you have an opportunity to show them. These eight tips will give you a very powerful way to take advantage of your testimonials and endorsements that you have collected and help you sell many more books. Tip #1. Front Book Cover: Display one on your book’s front cover if it is very strong, or by a well-known celebrity, or by an industry guru. Also, your book’s foreword is a type of testimonial. Because of this, the author of the book’s foreword should be shown on the front cover – especially if written by a very important or well-known person. 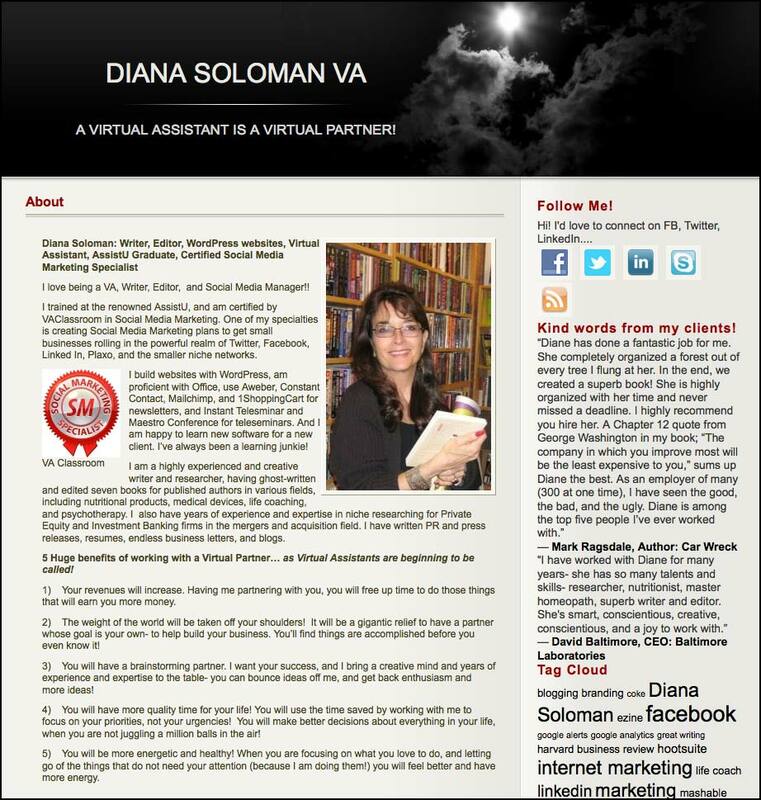 Thank you to Diana Soloman for featuring this post on her website MyVADiana.com/. Tip #2. Inside the Book: Place the best ones on the first pages of the book. With POD and ebooks, it is very easy to continually add new and better testimonials and endorsements to your book as you get them. Tip #3. Press Releases: Any press release that you send out should be flaunting your best testimonials and endorsements. 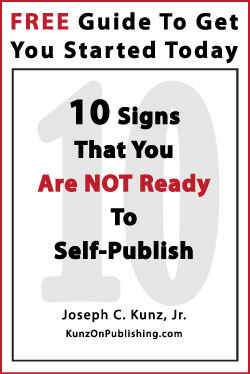 Make sure that you include your press releases in your media kit and on your book’s website. Tip #4. 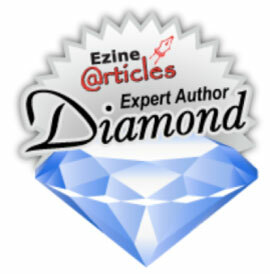 Website: Put every endorsement and testimonial on your website where you promote yourself and your book. Here you can display all the testimonials and endorsements that you collect – and keep adding to the list as you accumulate more. Highlight the ones that give you and your book the most praise. Also highlight the ones from the biggest and most well-known names. Tip #5. Promotional Material: The best testimonials and endorsements must be used in any advertising and promotion for the book. These testimonials and endorsements are essential for higher book sales. 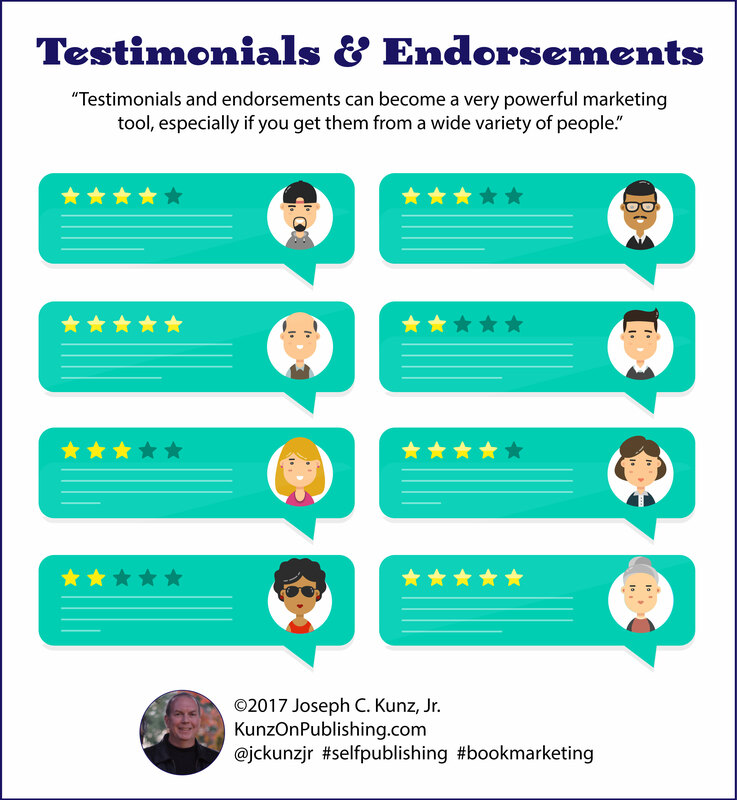 These testimonials and endorsements will help make book shoppers take a second look at your promotional material. The longer you can get a buyer to spend reading your promotional material, the greater chance you have of getting them to jump over to your website or to Amazon to explore what your book is about. 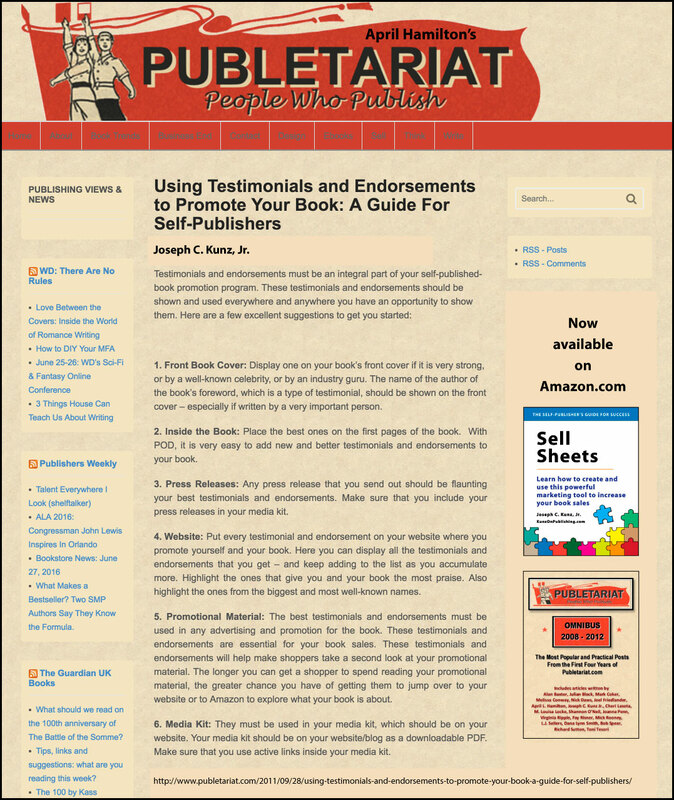 Publetariat.com – Using Testimonials and Endorsements to Promote Your Book, by Joseph C. Kunz, Jr. Tip #6. Media Kit: They must be used in your media kit, which should be on your website. Your media kit should be on your website/blog as a downloadable PDF. Make sure that you use active/clickable links inside your media kit. Tip #7. 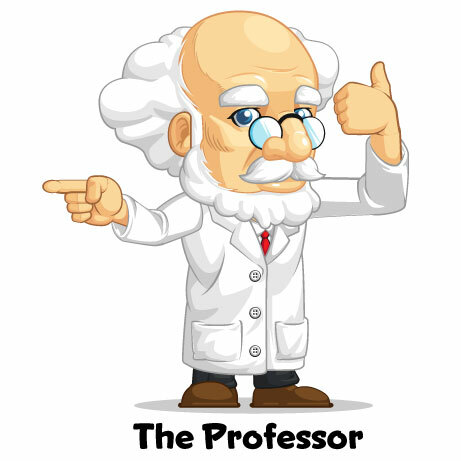 Interviews: The best testimonials and endorsements should be used in any written discussion about yourself and your books. Always try to associate your name with the authors of your best endorsements. Associating your name and book with these big-name people will give you an enormous amount of credibility within your market and in the eyes of the book-buyer. Tip #8. 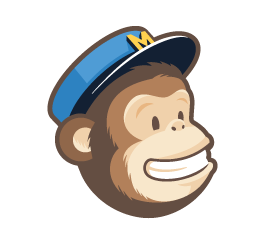 Email Signature: This should include your name, all of your websites, and your best endorsements. Do not underestimate the power of the email signature. 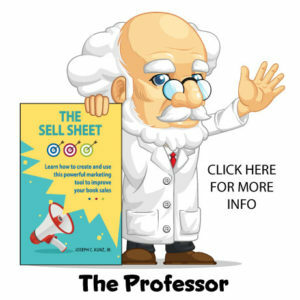 The email signature is a simple and direct, and a free way to promote yourself and your book. All eight of these tips will help give your book marketing and promotional efforts a powerful advantage over your competition – especially if you use all of them together. Your efforts to get more testimonials and endorsements must never end. You can also make these very same testimonials and endorsements even more powerful and meaningful to book buyers if you get them from a wide variety of readers. By this I mean not just so-called “big-name” celebrities and industry insiders, but by all readers from every imaginable demographic that reads your book. 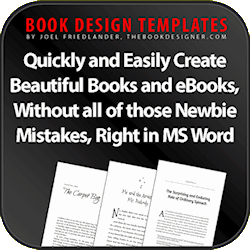 This variety will help give the book buyer a better overall view of your book, and give all of your testimonials and endorsements much more credibility. 1. Have you been incorporating some of these tips in your marketing plans to help promote your book? 2. Which ones have you found to more effective and helpful in getting your book more attention? 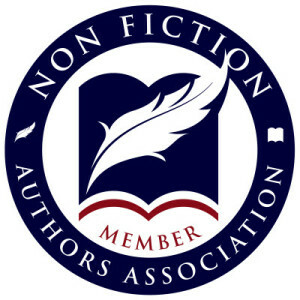 This entry was posted in Book Marketing, Endorsement, Foreword, Podcast, Self-Publishing, Testimonial and tagged Book Marketing, Endorsement, Foreword, Podcast, Self-Publishing, Testimonial. Bookmark the permalink.